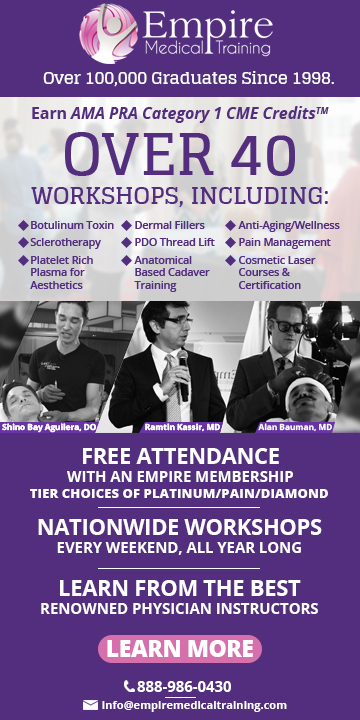 The Ultimate Hands-On Wound Care Clinical Lab is organized by PESI HealthCare and will be held on Apr 24, 2019 at Holiday Inn Burlington,South Burlington, Vermont, United States of America. This CME Conference has been approved for a maximum of 6.3 contact hours. Target Audience: • Nurses • Nurse Practitioners • Nurse Educators • Physician Assistants • Physical Therapists • Physical Therapist Assistants • Nursing Home Administrators • Occupational Therapists • Occupational Therapy Assistants Course Description: In healthcare facilities across the country, billions of dollars are being spent annually on the treatment of skin care and wound management. You are on the front lines of providing care to patients with a variety of skin and wound conditions, and play a critical role in patient outcomes and your facility's reimbursement for services. There is no better way to learn all of the skills you need to provide state-of-the-art care for your patients than through Hands-On Clinical Labs. Attend this highly interactive seminar and learn wound care assessment skills by DOING! Through the use of wound care teaching models, wound care expert, Kim Saunders, will teach you proper wound assessment techniques. The Hands-On Clinical Lab will add a live, hands-on component to learning that will enhance your retention of skills and techniques covered. Practice identification, measurement and the applications of various products on life-like wound care models. These models provide a life-like simulation to allow for improved assessment of a wide variety of commonly-seen wound care presentations, including all stages of pressure ulcers, tissue types, undermining, tunneling, fissure and surgical dehiscence. Objectives: • Distinguish at least 6 tissue types found in chronic wounds. • Identify and differentiate at least 4 wound etiologies. • Compare and contrast 6 terms used to document peri-wound status. • Demonstrate accurate measurement and documentation of wounds, tunneling and undermining, according to the clock method, using a wound teaching model. • Identify and categorize at least 7 dressing types, including the indications for use, precautions and contraindications. • Develop an appropriate dressing/ treatment protocol for a wound, based upon exudate, wound status, and products discussed. 45th Annual Family Medicine Review Course is organized by University of Vermont Continuing Medical and Interprofessional Education and will be held from Jun 04 - 07, 2019 at DoubleTree by Hilton Burlington Vermont, South Burlington, Vermont, United States of America. Additional details will be posted as soon as they are available. Pharmacology of Infectious Diseases & Immunizations for Advanced Practice Clinicians is organized by PESI HealthCare and will be held on Jun 25, 2019 at Holiday Inn Burlington, South Burlington, Vermont, United States of America. Target Audience: • Nurses • Advanced Practice Nurses • Clinical Nurse Specialists • Pharmacists • Nurse Practitioners • Physician Assistants Credits: Nurses/Nurse Practitioner/Clinical Nurse Specialists PESI, Inc. is accredited as a provider of continuing nursing education by the American Nurses Credentialing Center’s Commission on Accreditation. Nurses in full attendance will earn 6.3 contact hours. Partial Contact Hours will be awarded for partial attendance. Nurse Practitioners This program offers 380 instructional minutes of pharmacology content which is designed to qualify for 6.3 contact hours toward your pharmacology requirement to receive credit. It is your responsibility to submit your certificate of successful completion and a copy of the seminar brochure to your licensing board. Pharmacists PESI, Inc. is accredited by the Accreditation Council for Pharmacy Education as a provider of continuing pharmacy education. Successful completion of this Knowledge-based activity qualifies for 6.3 contact hours. ACPE Universal Program Number: 0289-0000-17-040-L01-P. Full attendance is required. No partial contact hours will be awarded for partial attendance. You are required to complete a program evaluation/post-test and bring your e-Profile ID to the seminar to receive CPE credit. Don’t have your e-Profile ID yet? Visit the National Association of Boards of Pharmacy (NABP) website and complete your e-profile at www.nabp.net in order to obtain your NABP e-Profile ID. Physician Assistants This program has been reviewed and is approved for a maximum of 6.25 hours of clinical Category I CME credit by the American Academy of Physician Assistant Review Panel. Physician assistants should claim only those hours actually spent participating in the CME activity. 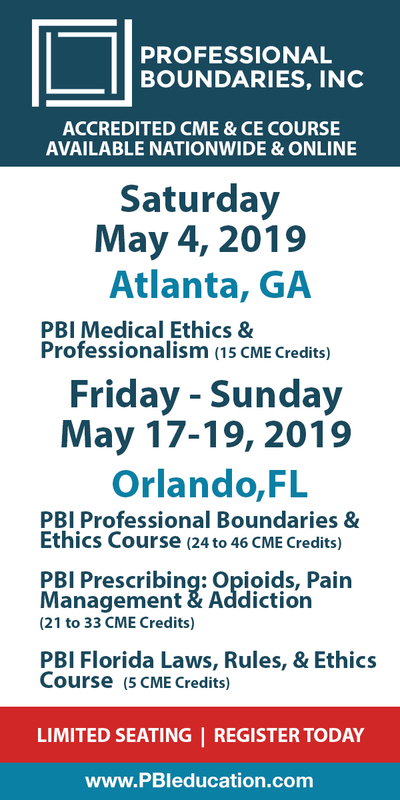 This program was planned in accordance with AAPA’s CME Standards for Live Programs and for Commercial Support of Live Programs. Course Description: Attend this seminar and learn proper prescribing, patient education and monitoring procedures for a variety of drug regimens used to treat common acute and chronic infectious diseases. Choosing an antibacterial agent can be challenging, given the plethora of drugs available on the market and the emerging trend in bacterial resistance. You will learn the pharmacology of different classes of antimicrobials used to treat infectious disease states encountered in clinical practice. Discover the spectrums of activity, pharmacokinetic characteristics and parameters for monitoring therapeutic outcomes. Emphasis is placed on the new antimicrobials and advances in evidence-based treatment guidelines. You will leave this seminar better prepared to design appropriate and cost-effective drug regimens for improved therapeutic outcomes. Learner Objectives: • Analyze the major classes of antibiotics and their pharmacokinetic characteristics. • Apply current evidenced-based approaches to select appropriate treatment regimens for common infections encountered in clinical practice. • Prescribe antimicrobials based on empiric dosing recommendations. • Plan goals of therapy and parameters for monitoring therapeutic response to antimicrobials. • Recommend specific antimicrobial therapeutic drug monitoring to maximize efficacy and minimize toxicities (e.g., vancomycin and aminoglycosides). • Develop preventative strategies to limit antimicrobial resistance. • Design patient and caregiver education on the proper use of antimicrobials.